Royal Wiltshire Yeomanry in the desert. Thread: Royal Wiltshire Yeomanry in the desert. Well gents, I thought I might post up some photos of my regiment from WW2. They were originally taken in 1942 during the North African campaign, although one or two of them could be in Italy or later. I have to apologise in advance for the quality as I had to capture them using my iphone, so on some there's reflective glare. Anyway I hope you find them interesting. Re: Royal Wiltshire Yeomanry in the desert. 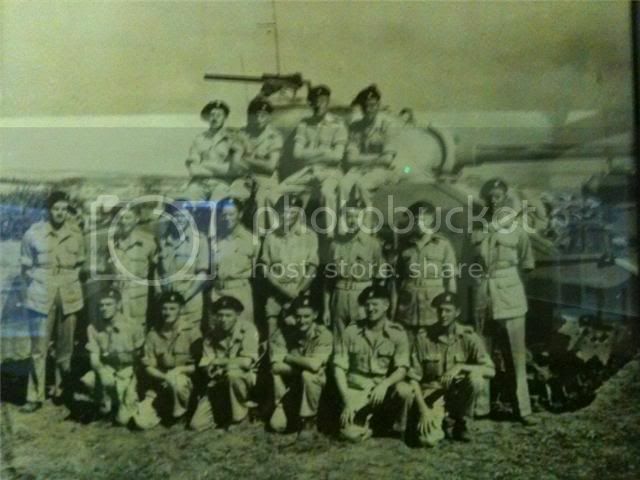 Here are some some soldiers from the regiment in Palestine in 1941. 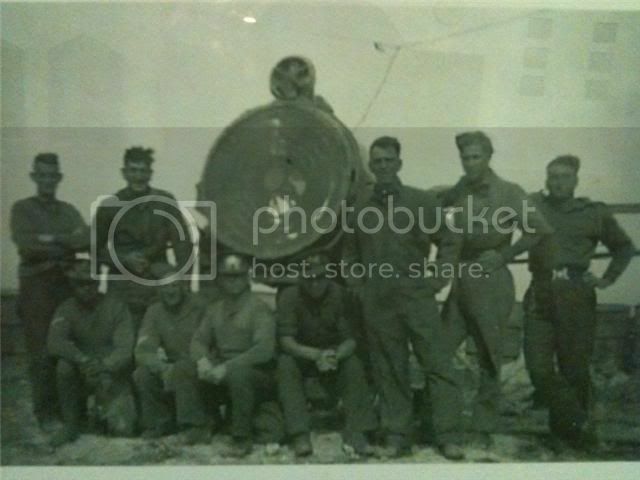 For the first few years the regiment was operating searchlights. 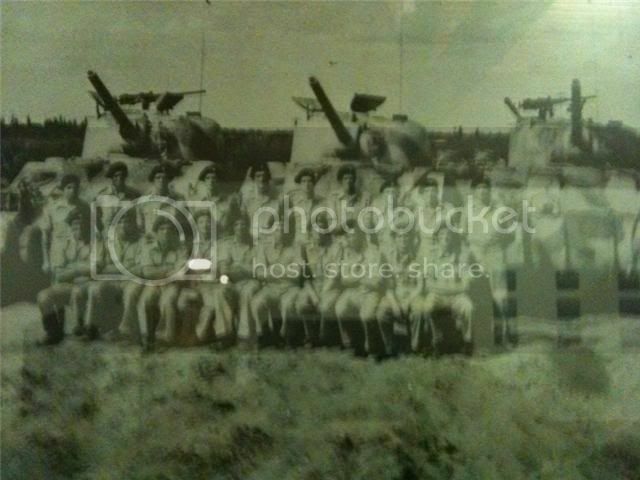 Here's a troop formed up for this photo, notice how they're diffy the troop's 4th tank. Another photo taken in the desert. Notice how this Sherman has 'Cricklade' on the side. The regiment named all their vehicles after pubs and villages from it's native Wiltshire. Anyway, hope you find these interesting. Last edited by Iron Yeoman; 06-11-2010 at 05:13 PM. Reason: bloody awful spelling! Nice pics, especially Cricklade. The Priest in the 2nd Pic wasn't Wilts Yeomanry though, but I dare say the photographer was! I wonder if you could tell me where the photographs are situated (that is to say, where is 'the wall' upon which they hang?) 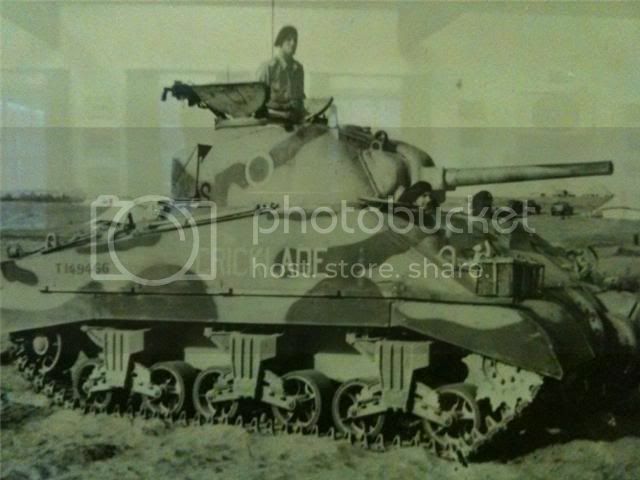 I am trying to find photographs of Sherman Tank 'HIGHWORTH', the subject of one of your pictures, and I would appreciate the opportunity to view the original/obtain a copy of the original. Hi, my late father-in-law was in the Royal Wiltshire Yeomanry during WWII and one of the guys in your photo no. 55, looks just like him. I wondered if you could tell me a little more about the photo. 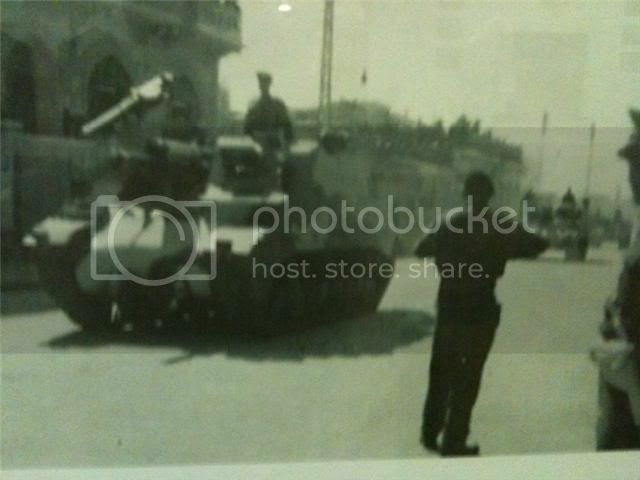 Possibly where it was taken and also is the photo in your possession and if not is it on display somewhere where we could go and have a proper look? We've just sent off for his war records, to find out a little more about his war. PSAOs tend to be rather busy people so you may have to wait a while for a reply, but they should get back to you eventually. Thank you so much for your quick reply on behalf of Iron Yeoman. You have been most helpful. I'll contact Old Sarum - wish me luck!